Hello, everyone. 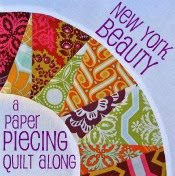 Welcome to Season 2, Challenge 4 of Project Quilting. I can’t believe we’ve passed the half way point! Time really flew by! 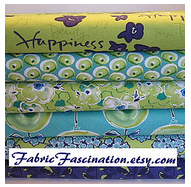 The winner of the Public vote will take home $10 to FabricsNQuilts and $10 do Dye Candy. The winner of the Judges Choice will take home a Pattern & Notecards from Marcia's Crafty Sewing & Quilting and $15 to FabricFascination. 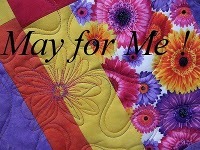 THREE randomly drawn (by my two beauties) participants in this weeks challenge will take home either $10 to SpiceBerryCottage OR $20 for Machine Quilting Servicesfrom QuiltsbyBarb OR a pdf of 2 maze quilt patterns from Lisa Penny! For Challenge 4 we are going to do a remake of one of Season 1's Challenges. Office Supplies was one of my personal favorites from last year. One of the best things about this type of challenge is learning to find inspiration where ever you are. 1. You inspiration for Challenge 4 will come from a visit to a hardware store. Look around, maybe take some pictures, get a feel for the place. The visual impact is greater at a brick and mortar store, but visiting an internet store can work, too. 2. Choose at least 3 different things to be your inspiration. 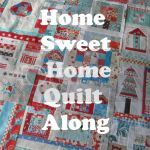 You can use the actual items in your quilt, but are not required to do so. 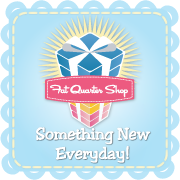 Be sure to tell us about the items and how they inspired you. 3. Please remember that these projects need to be created during the week of the challenge. 4. 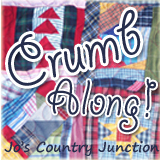 POST your entries with a description of your creative process, including where you are (ie, I create in Madison, WI) and the size of your project by Sunday, February 27th, 2011, at noon, CDT, to this flickr group – Project QUILTING with KimsCraftyApple: http://www.flickr.com/groups/1401824@N21/ OR email a picture/description of your completed project to lapaceksorchard@gmail.com with PROJECT QUILTING in the subject line. 5. 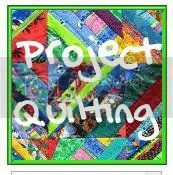 If this is the first Project Quilting challenge you've participated in, please email Kim at lapaceksorchard@gmail.com with PROJECT QUILTING in the subject line so that Kim can send you feedback from the judges and keep you updated on the behind the scenes going-ons. Remember, these challenges are intended to help you ‘Think Outside the Square’. Be creative. Take a risk. Do something no one else will think of doing. ooooh, sew much fun! I can't wait to see the results of this one.